A Roemheld TS 100 4-sided tower with 3rd-hand function. 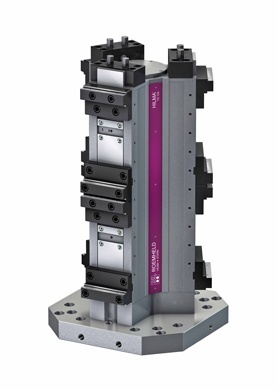 A twin fixed jaw Vector version of the Roemheld TS 125 TriStar three-sided workholding system. 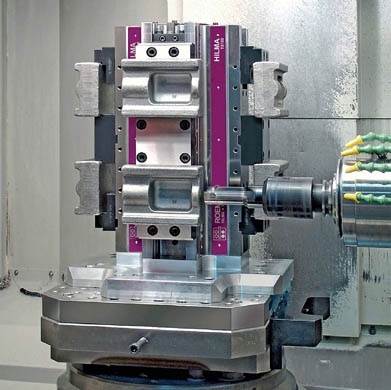 An extensive range of accessories including jaws and jaw inserts is available, as are drawings and CAD models of the equipment, an advisory service and bespoke workholding arrangements.